Our Yatton salon is our newest opening in October 2017 (after moving from our old premises in Cadbury House). This salon is run by Jodie. Jodie started at broadst. in 2008 and completed her training in our own academy! She has now progressed to salon manager at our new Yatton salon. Her and her team strive to ensure they give an enjoyable and professional experience to all guests! I am a long time customer, as usual, I am happy with my experience at Broad St. Staff at Yatton and Congressbury are always helpful and friendly. Tracey always knows what to do with my difficult hair!!! I've been coming here for a year and always have a great experience. I recently decided to cut my long hair short - and Poppy guided me through options. I'm so pleased with the results! My niece was visiting me from the US, and had always wanted highlights, but was nervous. The girls were so kind and made her feel completely relaxed. I would recommend Broad Street (Yatton) to anyone looking for a new hairdresser. Valerie is my mother who suffers from dementia, she still needs to feel good about her appearance! 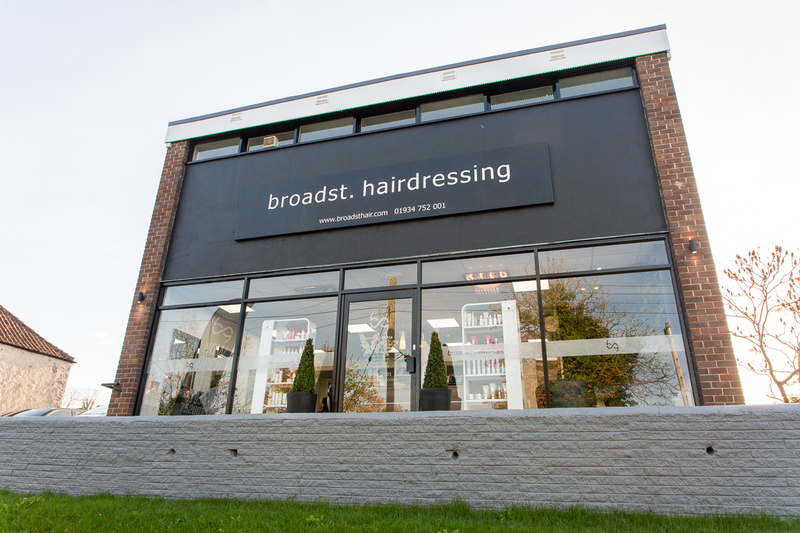 Broad street salon were very kind, helpful and encouraging to her and they always fit her in at the last minute because it’s not easy to plan ahead. She has good days and bad days, yesterday was a good day and she left the salon feeling happy, with the help of the girls there. Lovely amazing poppy , fantastic colour cut Such a happy friendly salon ???? Thanks to Carla and colleagues, all very welcoming. Love my colour and cut, definitely be back ??????????? ?....even hubby noticed I’d had my hair done ???? Sam was interested in my thoughts about my hair, took great care in selecting colours and treatments then cut and dried my hair beautifully. Thankyou sooooo much I love it! Hair Cut done by Sophie, Amazing service, extremely professional, very friendly makes you feel at ease and really understands your vision, a perfectionist, incredibly happy with the results, would defiantly recomend! Thank you for taking the time to leave us a review. Im so please to hear you enjoyed your experience with us and that ruby was happy with the outcome of her colour. Carla cut my hair last Friday. We're not local but our family live nearby and I needed a cut. Firstly Carla asked me what I wanted then I asked her if she could suggest something that would suit me and she gave me a cut which feels lovely and is much admired, thank you Carla! Im so please to hear you were so happy with your cut from Carla. I will pass on your kind words. Fantastic service with a very warm welcoming and friendly atmosphere. I love my haircut, it was just what I wanted and the prosecco was the cherry on top. Thank you Carla and I will definitely be back. Highly recommended !! !beautiful girls !!! Great service !!! Thank you for taking the time to leave us a review. Im so please to hear you enjoyed your experience with us. Good morning Georgina, Thank you for taking the time to leave us a review. We are delighted to hear you enjoyed your experience with us. We look forward to welcoming you back to the salon in the near future.